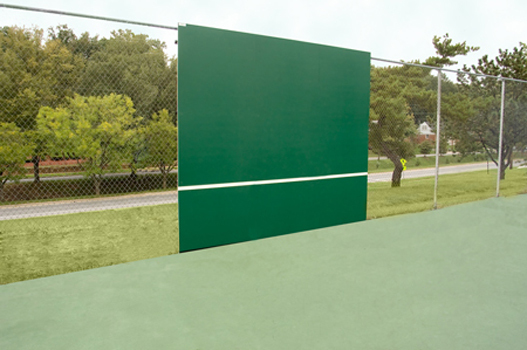 A practice wall, or backboard, is an unbeatable opponent and tireless hitting partner. 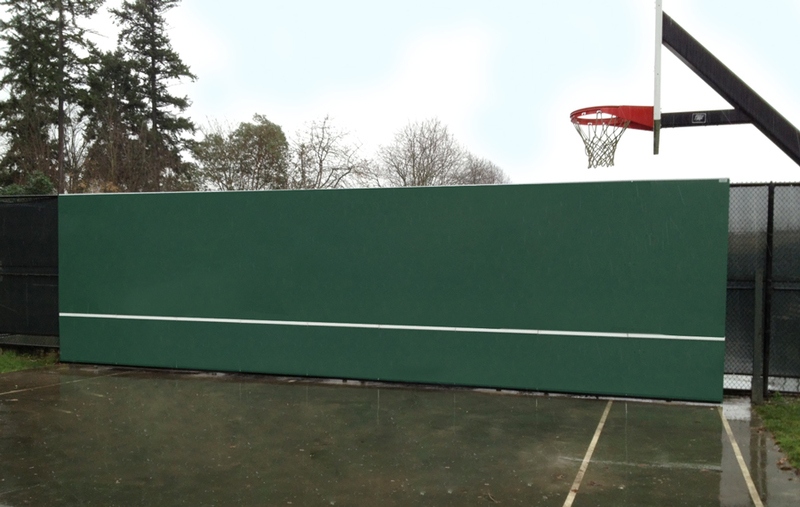 In fact, when we compete against human opponents who keep getting the ball back, we say it was like “hitting against a wall” or that we faced “a human backboard.” Rather than dreading the thought of hitting against a wall–human or otherwise–why not practice hitting against a stationary wall or backboard to hone your strokes and prepare for the energy draining human backboards you may face? With the proper motivation and attitude, you can make this “unbeatable foe” a great tennis conditioning buddy and practice partner. Warm-up To start your training session, after you’ve performed a good dynamic stretching routine, hit a few tennis balls against the wall to warm-up your muscles. Begin by alternating a few forehands and then a few backhands, and continue for 5-10 minutes. Use this time as you would a pre-match warm-up. Simulated Match Play Start by playing out a point against the wall. 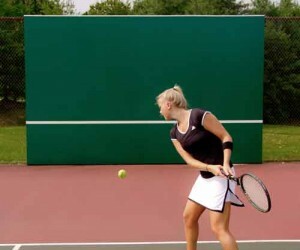 In order to simulate a 30-45 second tennis point, try to keep the ball in play for that long before taking a break. Store a few balls in your pocket so that if you miss a shot you can continue to hit without taking a break. 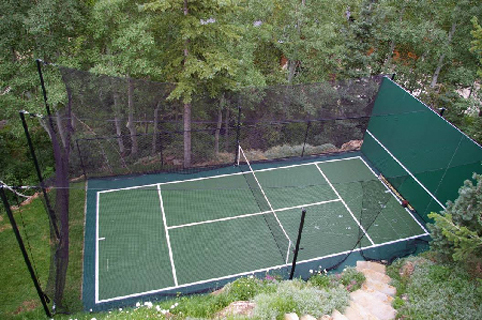 Next, take a break for 20 seconds, which is the maximum time allowed between points by the rules of tennis. Then start another point that lasts 30-45 seconds and take another 20-second break. Play out several games or a set by alternating your hitting time for 15-45 seconds and your rest period for 20 seconds. As you become better conditioned, i.e. less winded and recovering more quickly, start decreasing your rest period to 15 seconds. After all, during a real match, you are lucky if you sometimes get 10 seconds between points. Also, as your conditioning improves, start increasing the length of your hitting time to 50 seconds or more. Whenever you increase your hitting time, go back to your 20-second breaks. Then repeat the cycle of decreasing your rest periods as you begin to become more adept at handling the increased hitting time. 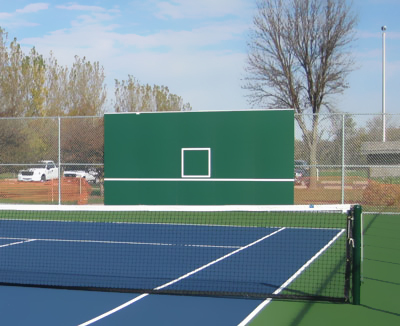 By using this incremental conditioning session when you hit the wall, you should begin to notice an improvement in your tennis-specific cardiovascular conditioning. A great byproduct of this training also will be an increase in calories burned and, perhaps, an accompanying loss of body fat. Increasing the Intensity For a more intensive training session, substitute hitting tennis balls with throwing a rubber medicine ball. Specific medicine balls that bounce should be used for this exercise and, depending on your strength and fitness level, select a ball weighing between 2-8 pounds. Throw the medicine ball against the wall using a forehand or backhand rotational toss. Allow it to return to your on one bounce and then repeat a throw. You also can mix in a few overheads as well. Always use both arms when performing these medicine ball tosses, as this conditioning exercise is less about your normal stroke production and more about getting fit. Also, by using two arms you will reduce the risk of injury caused by tossing the medicine ball with a single arm. Throwing a medicine ball is a more intense exercise than hitting tennis balls, so be careful not to overdo it. Also, because this exercise is more strenuous, you should keep your throwing time to no more than 30 seconds (preferably 10-15 seconds until your fitness level improves). Be sure to check with your physician to ensure that this training is right for you before you get started. By hitting against a wall, you’ll find that your conditioning and stroke production will improve. And who knows, you may even find yourself easily beating those human backboards. Always check with your physician before undertaking any exercise program such as those covered in this article. By LaRue E. Cook TennisFitness.net LaRue Cook is the owner of LEC Fitness, LLC, dedicated to improving the sport-specific conditioning for athletes of all ages. 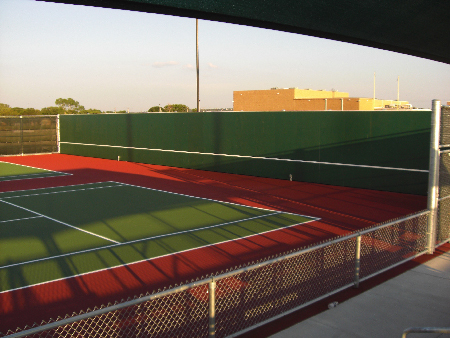 He trains tennis players of all levels including nationally-ranked juniors, adult league and tournament players, and beginners. His eBook on strengthening shoulder and core muscles for improved performance and injury reduction can be purchased on his website at www.tennisfitness.net .